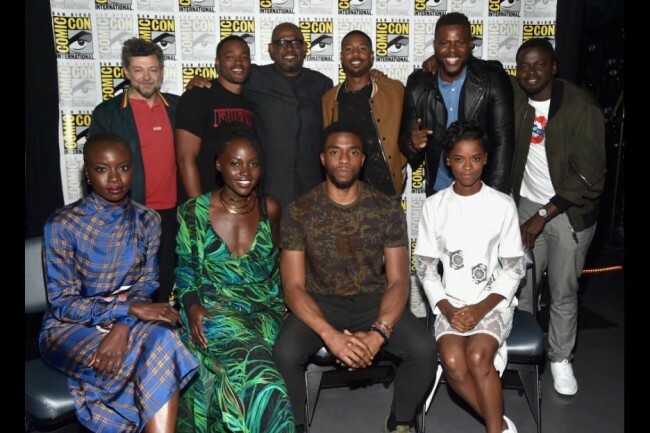 With a $108 million second weekend, Black Panther also becomes only the fourth film ever to cross the $100 million mark. Opening in second place domestically was Warner Bros.‘ new comedy Game Night, which debuted with $16.6 million from 3,488 theaters, an average of $4,759 per theater. Internationally, the movie grossed $5.2 million from 22 markets and it will open in another 23 overseas markets next weekend. Directed by Jonathan Goldstein and John Francis Daley, Game Night stars Jason Bateman, Rachel McAdams, Billy Magnussen, Sharon Horgan, Lamorne Morris, Kylie Bunbury, Jesse Plemons, Danny Huston, Chelsea Peretti, Michael C. Hall, and Kyle Chandler. Made for just $37 million, the film received a B+ CinemaScore from audiences. Sony Pictures Animation’s Peter Rabbit dropped a spot to third with $12.5 million, for a three-week domestic total of $71.3 million. Made for $50 million, the Will Gluck-directed film stars James Corden, Rose Byrne, Domhnall Gleeson, Sam Neill, Daisy Ridley, Elizabeth Debicki, and Margot Robbie. Alex Garland’s adaptation of Annihilation (Paramount Pictures) opened in fourth place domestically with $11 million from 2,012 theaters, an average of $5,467 per location. Costing $40 million to make, the movie received a C CinemaScore. Annihilation stars Natalie Portman, Oscar Isaac, Jennifer Jason Leigh, Tessa Thompson, Gina Rodriguez, and Tuva Novotny. Universal Pictures’ Fifty Shades Freed rounded out the top five with $6.9 million to bring its total to $89.6 million after three weeks. Internationally, the third and final chapter in the franchise has earned $230.8 million, for a worldwide total of $320.4 million. Made for $55 million, Fifty Shades Freed was directed by James Foley and stars Jamie Dornan and Dakota Johnson. Also, Sony Pictures’ Jumanji: Welcome to the Jungle added $5.7 million domestically its 10th week in theaters. The film has now earned $387.3 million in North America. Directed by Jake Kasdan, the $90 million-budgeted film stars Dwayne Johnson, Jack Black, Kevin Hart, Karen Gillan, Nick Jonas, and Bobby Cannavale.